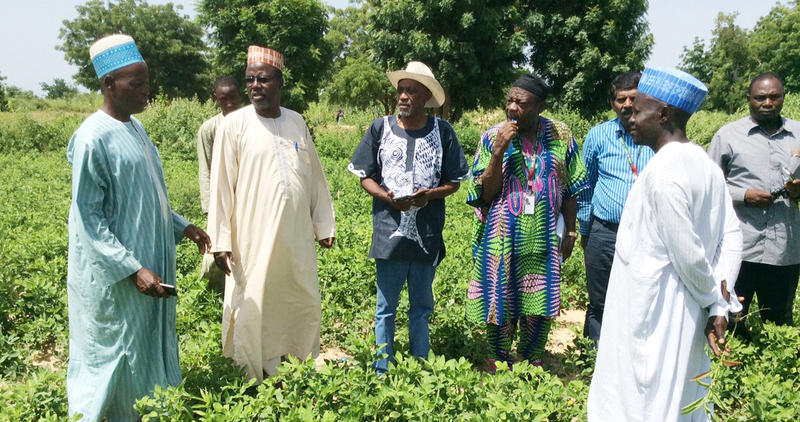 More and more farmers in Nigeria are adopting improved varieties of groundnut, thanks to extensive efforts by local state governments to increase awareness about the new varieties. 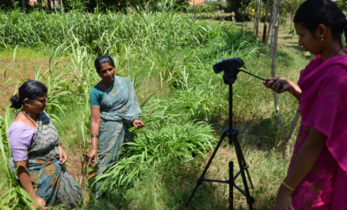 This is done by way of demonstration plots in farms; a cluster farming approach wherein seeds and agronomic training are provided to farmers; farmer-to-farmer knowledge transfer meetings and radio campaigns. 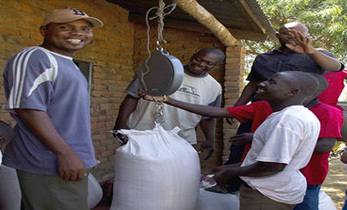 Since 2015, the project Increasing groundnut productivity of smallholder farmers in Ghana, Mali and Nigeria, funded by the United States Agency for International Development (USAID), has strived to enhance farmers’ knowledge and skills to ensure sustained use of improved groundnut technologies (quality seeds and accompanying management practices) in Feed the Future (FtF) communities spread out in five states of Northern Nigeria (Jigawa, Kano, Sokoto, Kebbi and Katsina). 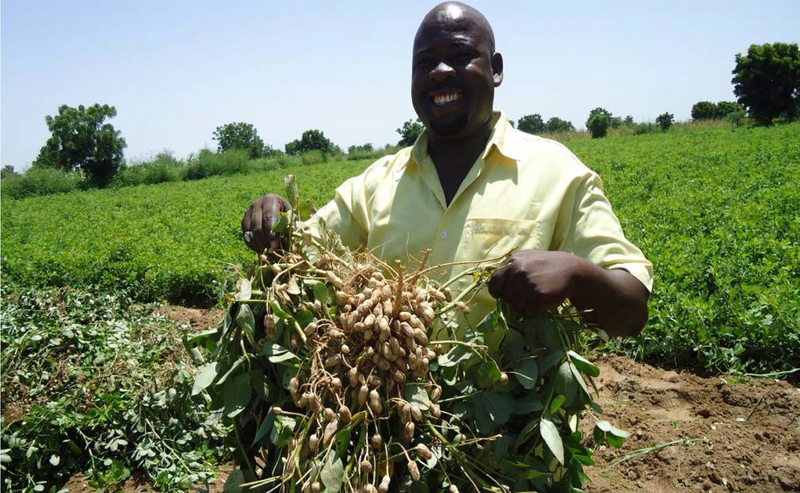 The Institute for Agricultural Research (IAR), Nigeria, with support from ICRISAT, has released eight improved groundnut varieties over the last decade. Despite this, average land coverage under improved groundnut varieties remains low – an average of 13% in Nigeria, not too far from the situation in Western and Central African (WCA) countries estimated at 12.5%. 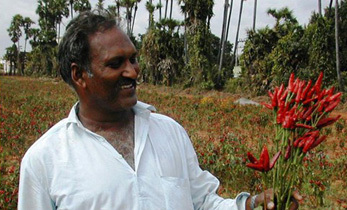 This is partly because of inadequate awareness about the potential of improved crop varieties. 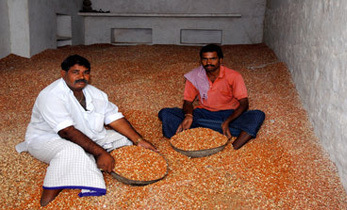 This situation prompted the upscaling of the above groundnut crop project. During the 2016 cropping season, Jigawa State Agricultural and Rural Development Authority (JARDA) embarked on the promotion of the agricultural sector through a cluster farming approach targeting four crops: rice, sesame, groundnut and soybeans. Under this cluster approach, farmers are organized into groups, with neighboring groups constituting a cluster. Through the input distribution arm of JARDA, a total of 129,660.5 kg of SAMNUT 24 was purchased and distributed to 15,000 farm-families (including 5,600 youths) to be planted in a total of 1,728 hectares (seed rate being 75 kg of unshelled seeds per ha). Mr Alhaji Yahaya Buba, State Desk Officer for the project, stated that Jigawa State Governor, His Excellency Muhammad Badaru Abubakar, launched this cluster approach in a bid to lift smallholder farm families out of abject poverty. The key sustainability of the cluster approach is the refund of inputs received by participating farmers at the end of the cropping season to the input distribution arm of JARDA. 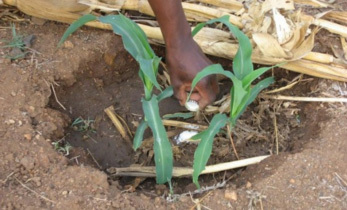 Recovered seeds are passed on to new farmers during subsequent cropping seasons. Beneficiary farm families are taught the accompanying agronomic practices, and eventually linked to financial institutions. A group of 476 youth was given 40 kg of unshelled groundnut seeds per person, to be planted on 0.5 hectare of land. They were also provided on-the-spot training about integrated crop management practices. With persistent campaigns using different strategies such as radio programs, on-field demonstration of performance of improved groundnut varieties, and organization of farmer-to-farmer learning opportunities, it is expected that more land will be brought under cultivation of improved groundnut varieties in Jigawa State. The project works with local ADPs as implementation partners. 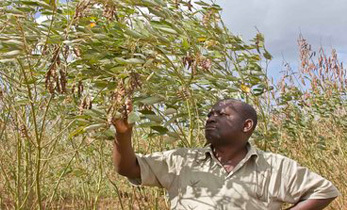 In each state, the project uses a pilot LGA to showcase the performance of improved groundnut varieties, together with accompanying crop management techniques, and promotes appropriate opportunities for farmer-to-farmer learning.